First Sentence: The telephone chimed as it always did, in the deep, dead middle of the night. Reason for Reading: One of my places to look for book recommendations is Bookbrowse. Several months ago Bookbrowse began a pre-release program called First Impressions for reading and reviewing soon-to-be-released books. Dervishes caught my eye, and I put my name in for it, not really expecting anything to come of it. Much to my pleasure, I soon received the book in the mail. From the Publisher: Grace and Canada are the wife and twelve-year-old daughter of an American diplomat stationed in Ankara. While he disappears for long stretches, mother and daughter are forced into a fiercely gossipy, isolated community of Western ladies and wealthy Turks. Fed up with each other during the hot summer months, when the electricity shuts down throughout the city from dusk to dawn, each ventures out beyond the embassy swimming pools and cocktail parties into Ankara. But neither is quite equipped to navigate on her own in Turkey, and they are soon lost in a society they can't possibly comprehend. Their transgressions threaten to strand them between the safe island of expatriates and a city still hostile to the presence of foreigners. 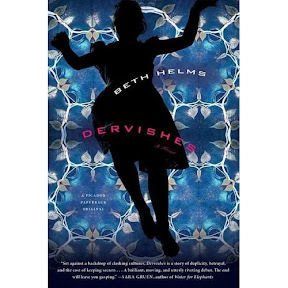 Comments: Dervishes is a beautifully written novel set in the mid-1970's, the characters intricately drawn, and the plot raw and yet unassuming. Mother and daughter are much alike, both distant, and difficult to grow close to as a result. Throughout the novel, the characters remain at arm's length to the reader, which was a distraction not easily overcome. Neither mother nor daughter is particularly likable. Just the same, as the story goes on, it is impossible not to feel for this family whose members are lost and wounded, living together and yet apart. Grace had hoped for more when she married her husband, a man whose work is drenched in secrecy. By the time the family is relocated to Turkey, Grace has grown tired of the mystery that once intrigued her and weary of the distance that now seems to envelope them. Canada, ever her father’s little girl, is entering her teens, with one foot still in childhood and the other trying to find its footing in the adult world. Having come by her self-efficiency at an early age because of her family’s life of constant change, Canada settles into life in Turkey with ease. Or so it seems in the beginning. Told from the point of view of both mother and daughter, Dervishes takes the reader on a sensuous and difficult journey that is filled with temptation, petty jealousies and misunderstandings that are not easily resolved. Author Beth Helms makes sure of that every step of the way. The two struggle in their relationships with others, as well as with themselves. Bookbrowse looks to be an interesting site. Thanks for the link and I will be exploring further. Good review. I actually found the cover art on this book particularly intriguing. Weird comment I know but it really stood out. This sounds intriguing, and like my kind of thing. I'll have to check out Bookbrowse - that's a new one to me. I also enjoyed the review and browsing the blog. I appreciated, too, that you preference your "comments" with the header "Comment!" That makes it clear, silly, I know. Thought you'd also like to know that I linked over from a Google alert in which anything that says "mystery author" gets to me. Well, the mystery stuff, is a given (I do write mysteries), but what really captured me was the kitty/feline connection. 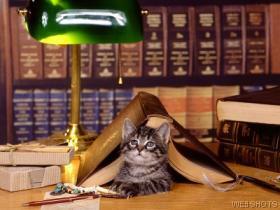 Love the thought of a "bookish kitty," which fits two of my four. The others act as "kitty muses!" I haven't been on Book Browse in awhile. Thanks! The book sounds challenging. Ultimately rewarding? Jaimie - You're welcome. It's a fun site to explore when you are trying to avoid vacuuming. ;-) Isn't the art work interesting? I thought so too! Florinda - If you do give Dervishes a try, let me know what you think. It hasn't gotten the best reviews, I've noticed, but I did like it. It had its detractions though, and so it's not a book I'd recommend to just anyone. Pat - Thank you for visiting! I'm so glad you found me! I also am glad you like the format. I admit that I sometimes run the synopsis with my comments, especially when I'm writing the summary myself. Alice - Ah, thank you so much! Ladytink - I probably don't go as often as I should, but I try and keep up now and then. It's a great site for discovering new books, I've found. Carrie K - Yes, it was challenging in spots. I thought it was worth the effort, but I think this is one of those books that might turn people off because of the way the characters are written. I think the ending might leave some dissatisfied too. Still, I am glad I read it. Very good review, and you've made this sound most interesting. This seems like a good ARC to have gotten. Thanks, Tara. I am glad I was able to read it. I think that some people might be put off by the characters, but it did make for interesting reading.